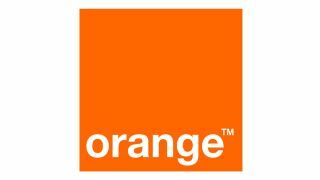 Which is the best Orange phone? Panther, Dolphin, Canary, Monkey, Camel and Racoon. You'd be forgiven for thinking we'd been on Safari, alas we're not THAT lucky. As we squirrel away (see what we did there?) our hard earned dosh, we like to know that we get the best from our network. This tends to vary from person to person: cue Orange's slightly incomprehensible animal plans. On a pay monthly contract, text-hungry users are presented with the Canary Plan, talkers could have the call based Racoon Plan, and then there's the Dolphin Plan, which adds in some data too. However, should you want, as Orange suggest, "everything", it has created the Panther Plan. True to its word, included are minutes, texts, tether-able data, Wifi and what they call "swapables". Simply put, these are extras that can be changed monthly depending on your preference. You can choose from Mobile TV options, Deezer music streaming, Game or Book downloads, Puzzles and more. If that's not enough, available for every plan, for a fiver a month, are a range of optional extras including 500MB of data, Photo Messaging, Sat Nav, Gaming and Sky Sports Mobile TV. Pay as you go users are similarly treated to a range of plans, each providing differing bonuses per top up, as well as a Phone Fund to contribute to your next mobile purchase, and the ability to top up from as little as 10p. Oh, and before we forget, there's Orange Wednesdays (2 for 1 cinema tickets) and Film Thursdays (a free film download from iTunes). It's unsurprising to see the 4S here really, given that Apple's device has taken the market by storm. Backed with an impressive App Store, the 4S brings greater functionality and faster speed than previous iterations. This is all shown off beautifully on Apple's stunning, pin-sharp Retina display and its quick, smooth processor. Sony's first foray into the mobile world after completing the buyout of former partner Ericsson, comes in the form of the Xperia S.
Sony opted to pack in its own Bravia engine, taken from its TV range, which has helped create a really fantastic screen. Inside you'll find NFC technology, a dual-core 1.5GHz processor and a high-end 12MP camera. The HTC One X has bounded onto the scene, and with its HD screen, NFC capabilities and quad-core processor, it really is one of the top phones of the moment. It's running the latest version of Android in the shape of Ice Cream Sandwich, and has one of the best cameras on the market - capable of shooting a huge amount of photos in a row and taking snaps while recording in 1080p HD. In short, one of the best phones around right now. It's not very often that a network-branded phone can make its way into a best phone list, but Orange has a habit of creating some pretty amazing phones. Intel's first Atom-powered mobile phone is smooth and slick, and comes with an 8MP camera as well as NFC technology. It even comes in at a very reasonable price point, punching above its weight to contend with some feature-packed flagship phones. Replacing a phone that could be on this list, the Galaxy S2, comes Samsung's latest flagship Galaxy phone. We can't speak highly enough of the Galaxy S3, as it brings a superb Super AMOLED HD screen, NFC, 8MP Full HD recording camera and a "blazingly-fast" 1.4GHz quad-core processor. Unsurprisingly, it comes with Ice Cream Sandwich, but Jelly Bean is looking very likely.